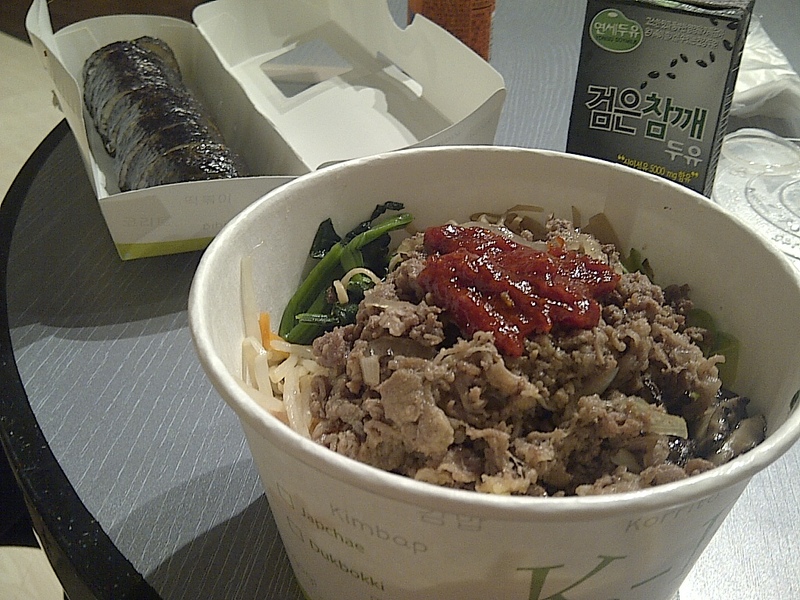 K-roll is a Korean takeaway diner opened by three lovely ajimas (how koreans address married women)- a friend told me about K-roll last Dec coz everyone knows how much I LOVE KIMBAP! 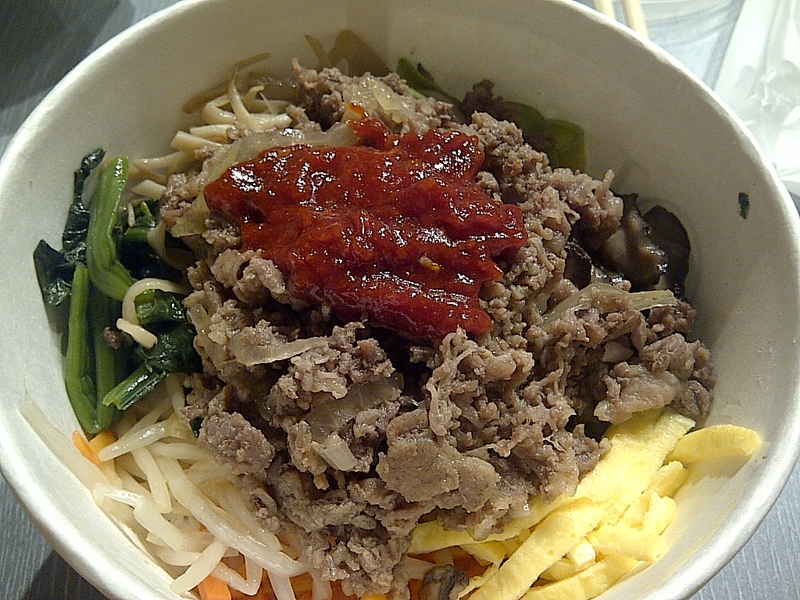 Although they are readily available on the streets of seoul, it’s hard to come by here in hong kong (especially in central away from K-town, TST). There are a few Korean caterers in Sheung Wan who would make kimbap in bulk upon orders placed at least a day in advance but it’s just such a hassle to arrange. Then came Dine- in and I was overjoyed!! 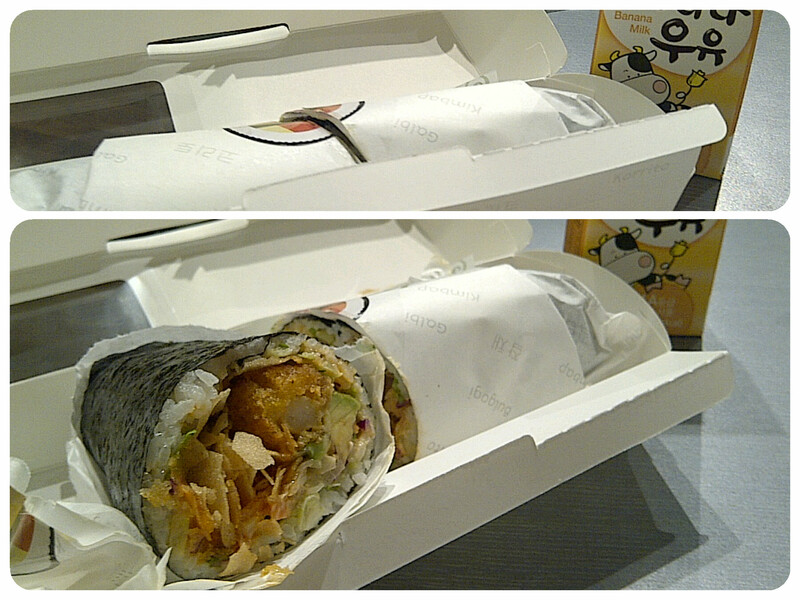 Sadly that secret couldn’t be kept for long, kimbap was sold out before I could even call to reserve =( so K- roll’s opening was an exhilarating news for me!! V: Can I get a bulgogi roll with spinach without lettuce? K-roll: Bibian? Is that bibian? 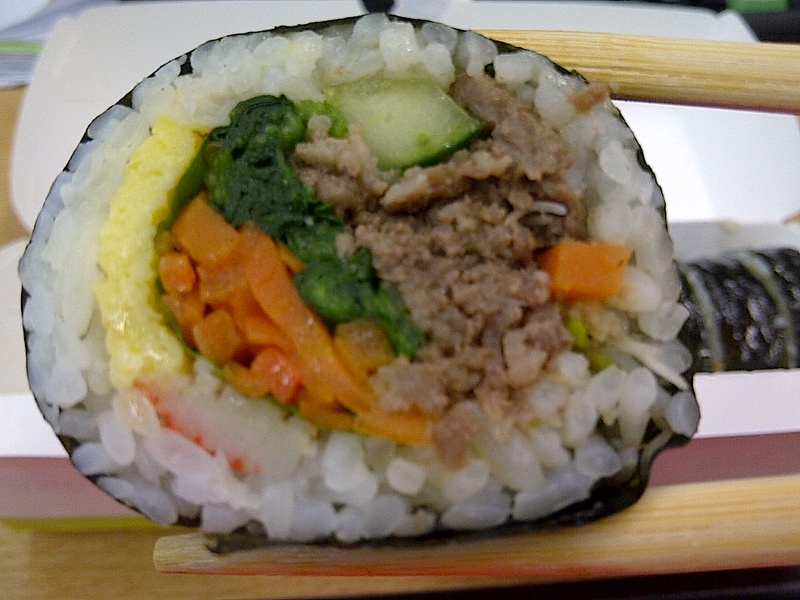 K- roll is basically kimbap; think of sushi with cooked food instead of sashimi. 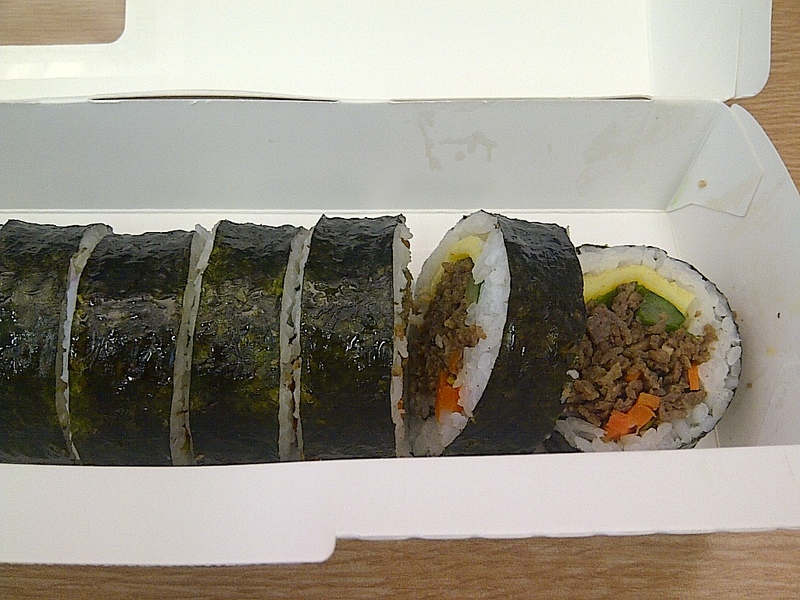 I’ve read pretty unjustified reviews on kimbap saying “OMG, it’s warm!! That must not be fresh” (-_-“) No, you idiot, google before you complain, kimbap is freshly made, and different from sushi which is kept cold, kimbap is made with freshly cooked rice which explains why it’s kinda warm. If it’s cold, it just means it’d cooled. Dukbokki aka Korean rice cake in spicy sauce; this dish packs a punch, the heat from the red pepper paste makes me blush, like literally **how embarrassing** it’s perfect for the winter or on rainy days when the office is freezing. I love the texture of the rice cake, it’s bouncy, al dente and not mushy; the sauce has a slight hint of sweetness which adds nice complexity to the flavor. Korrito, aka Korean burrito, is fun and scrumptious; it’s like a super sized kimbap but with more ingredients and perhaps more westernized flavor (with avacado and the special dressing). I had a bite of my friend’s shrimp korrito; the avocado brings richness and creaminess to the crunchy yet light fried shrimp, the special dressing adds slight spiciness to it. I shall try the chicken korrito on my next visit!